Few vehicles are as striking as the Audi TT, with its sleek lines, quality interior and powerful performance. Now into its third generation, this iconic sports car is as fresh and as dramatic as ever, offering a ride that'll see you craving more. 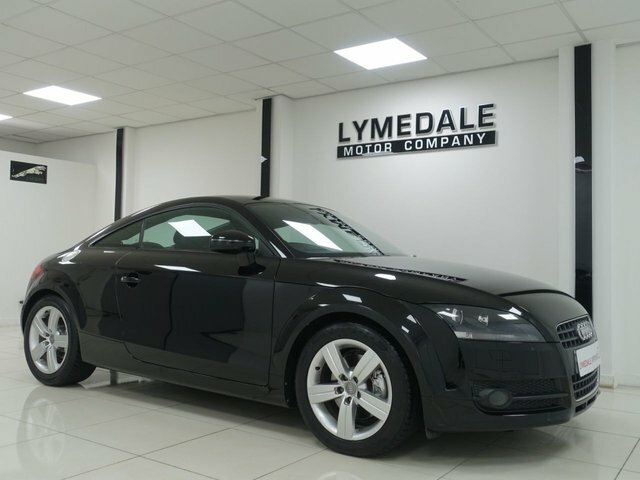 Save money on a used Audi TT for sale in Newcastle Under Lyme right here at Lymedale Motors Ltd. Our range of quality used cars has something to suit all budgets and lifestyles, and you can rest assured our friendly and knowledgeable team will always go the extra mile to help you find the vehicle of your dreams. Discover more and book a test drive in one our used Audi TT cars by contacting the showroom now.